Her background in education includes work in the youth division at Centro Inc, a non-profit organization serving the Spanish speaking immigrant communities of Minneapolis. Currently she is the Program Manager for Teen Programs, overseeing the Walker Art Center Teen Arts Council and programs for teens at the museum, where she has been since September of 2009. Both Adriana’s visual and youth work aim to support and empower voices of under-served communities, while her music with Malamanya unites diverse publics to celebrate the folk music of Latin American countries. 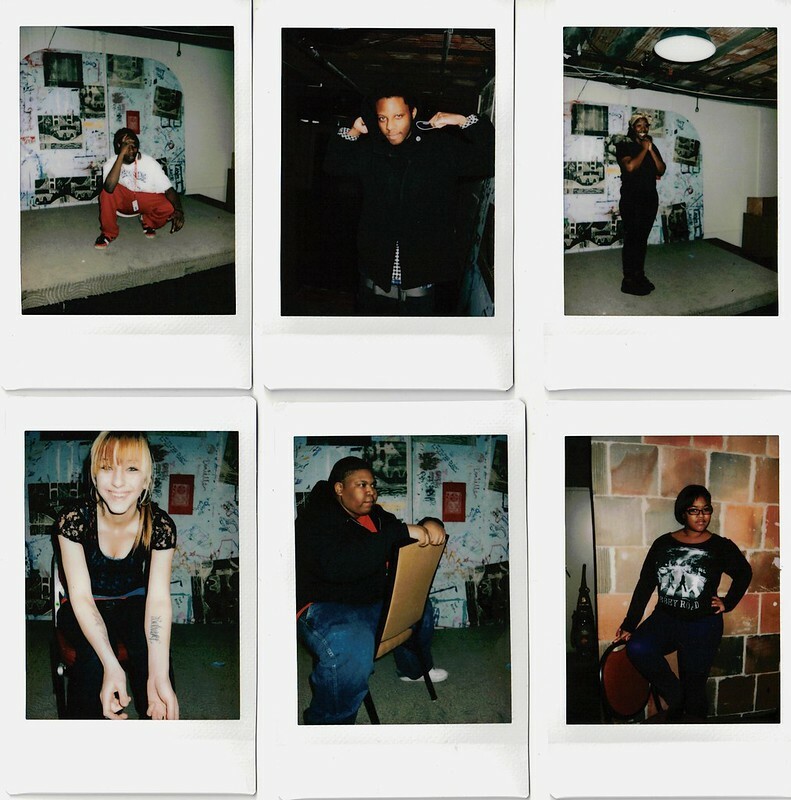 We began our workshops last night, and the polaroid photos you see on this page are the result. We are also attending the Walker Art Center’s Out There series during the month of January. Out There, which is a series that allows for provocative new artistic works, is celebrating 25 years this month. We’ll let you know what we think!